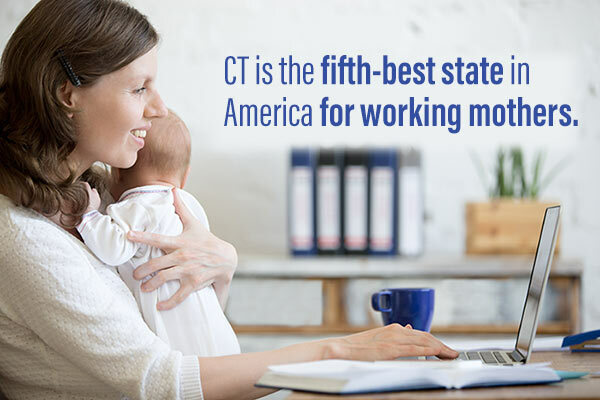 At a time when women make up nearly half of the U.S. workforce, and more than 70 percent of moms with children younger than 18 are working, Connecticut is the fifth-best state in America for working mothers when it comes to providing the quality of life that working mothers appreciate and find valuable, according to a new poll out from the online finance website WalletHub. Researchers compared all states across 13 different metrics to determine which states are best for working mothers when it comes to: child-care costs; pediatricians per capita; school system quality; the gender pay gap; ratio of female executives to male executives; median women's salary; percentage of families in poverty; female unemployment rate; state parental leave policies; average length of a woman's work week; and women's average commute time. Of the Top 10 states for working mothers, eight of them are in the Northeast: Connecticut, Delaware, Maine, Massachusetts, New Jersey, New York, Rhode Island, and Vermont. The worst states for working moms are in the South and West, including Alabama, Louisiana, Mississippi, West Virginia, Nevada, Arizona, Idaho, New Mexico and Wyoming. Once again Memorial Day is approaching, a time when our thoughts turn to the beach, cookouts and parades. But remembering our deceased veterans should be the number one priority. The Town of Manchester has a permanent committee, the Memorial Day Committee, whose job it is to be responsible for placing flags on all veterans' graves in all the Manchester cemeteries. This committee is also responsible for having a church service on the Sunday prior to Memorial Day and organizing the parade and the program in Center Memorial. Citizens of Manchester, both veterans and non-veterans, are eligible to join. If you are interested in joining the committee or volunteering to assist in placing flags in the cemeteries, please call Committee Vice-Chairperson Clarence "Skip" Mikoleit at 860-643-6728. 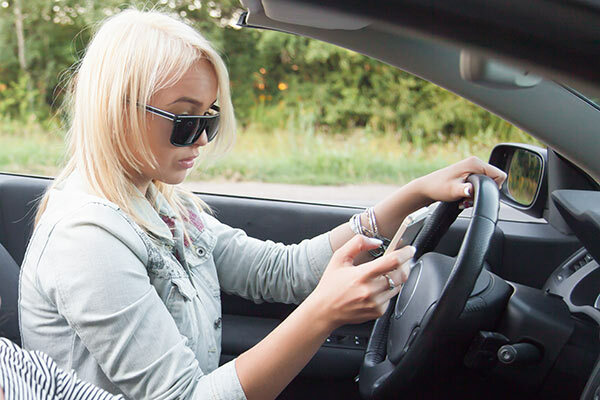 The Manchester Youth Service Bureau and the Manchester Police Department will be hosting a community event, "Dangers of Distracted Driving," on Wednesday, May 24, 2017 from 4:30-7:30 p.m. in Center Memorial Park (Linden Street side). This event is free and open to the public, and it's highly suggested for young drivers and their parents or guardians. The event will include live demonstrations and interactive experiences, such as a roll-over simulator, seat belt convincer, and impairment goggles. Representatives from MADD, emergency services, and local driving schools will also be present. Pre-registration is not required. Please contact Manchester Youth Service Bureau Youth Services Coordinator Kellie Sheridan at 860-647-5262 with any questions. The rain date is Thursday, May 25, 2017, from 4:30-7:30 p.m.